Home BIOGRAPHY HISTORY QUOTES Chinua Achebe Biography, Quotes, Family, Books, Poems, Awards, Works And Death. 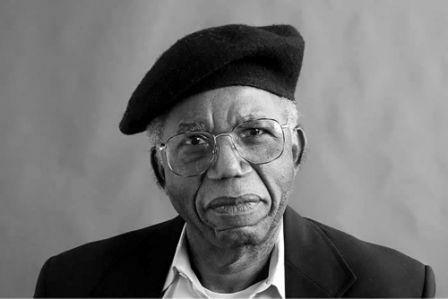 Chinua Achebe Biography, Quotes, Family, Books, Poems, Awards, Works And Death. Born in Nigeria in 1930, Chinua Achebe attended the University of Ibadan. In 1958, his groundbreaking novel Things Fall Apart was published. It went on to sell more than 12 million copies and been translated into more than 50 languages. Achebe later served as the David and Marianna Fisher University professor and professor of Africana Studies at Brown University in Providence, Rhode Island. He died on March 21, 2013, at age 82, in Boston, Massachusetts. Famed writer and educator Chinua Achebe was born Albert Chinualumogu Achebe on November 16, 1930, in the Igbo town of Ogidi in eastern Nigeria. After becoming educated in English at the University of Ibadan and a subsequent teaching stint, in 1961, Achebe joined the Nigerian Broadcasting Corporation as director of external broadcasting. He would serve in that position until 1966. Prior to joining NBC, in 1958, Achebe published his first novel: Things Fall Apart. The groundbreaking novel centers on the cultural clash between native African culture and the traditional white culture of missionaries and the colonial government in place in Nigeria. An unflinching look at the discord, the book was a startling success and has become required reading in many schools across the world. In a related endeavor, in 1967, Chinua Achebe and Christopher Okigbo, a renowned poet, co-founded a publishing company, the Citadel Press, which they intended to run as an outlet for a new kind of African-oriented children's books. Okigbo was soon killed, however, in the Nigerian civil war. Two years later, Achebe toured the United States with Gabriel Okara and Cyprian Ekwensi, fellow writers, giving lectures at various universities. The 1960s also marked Achebe's wedding to Christie Chinwe Okoli in 1961, and they went on to have four children. When he returned to Nigeria from the United States, Achebe became a research fellow and later a professor of English (1976–81) at the University of Nigeria. 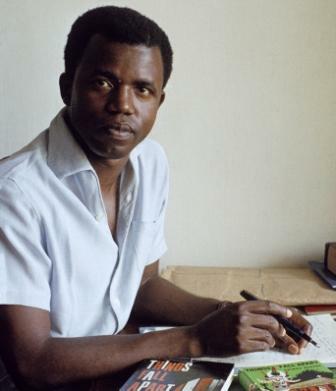 During this time, he also served as director of two Nigerian publishing houses, Heinemann Educational Books Ltd. and Nwankwo-Ifejika Ltd.
On the writing front, the 1970s proved equally productive, and Achebe published several collections of short stories and a children's book: How the Leopard Got His Claws (1973). Also released around this time were the poetry collections Beware, Soul-Brother (1971) and Christmas in Biafra (1973), and Achebe's first book of essays, Morning Yet on Creation Day (1975). While back in the United States in 1975, at the University of Massachusetts at Amherst, Achebe gave a lecture called "An Image of Africa: Racism in Conrad's Heart of Darkness," in which he asserted that Joseph Conrad's famous novel dehumanizes Africans. The work referred to Conrad as a "thoroughgoing racist," and, when published in essay form, it went on to become a seminal postcolonial African work. Achebe joined the faculty at the University of Connecticut that same year, returning to the University of Nigeria in 1976. The year 1987 would mark the release of Achebe's Anthills of the Savannah, which was shortlisted for the Booker McConnell Prize. The following year, he published Hopes and Impediments (1988). The 1990s began with tragedy: Achebe was in a car accident in Nigeria that left him paralyzed from the waist down and would confine him to a wheelchair for the rest of his life. Soon after, he moved to the United States and taught at Bard College, just north of New York City, where he remained for 15 years. In 2009, Achebe left Bard to join the faculty of Brown University in Providence, Rhode Island, serving as professor of Africana Studies as well as the David and Marianna Fisher University professor. Chinua Achebe won several awards over the course of his writing career, including the Man Booker International Prize (2007) and the Dorothy and Lillian Gish Prize (2010). 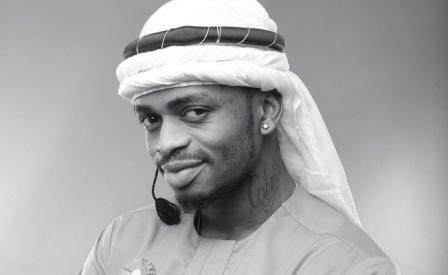 He also received honorary degrees from more than 30 universities around the world.